[Yu Andoh and Elisa Karhula] was an exhibition with Elisa Karhula, organized by Sanna-Mari Prittinen. 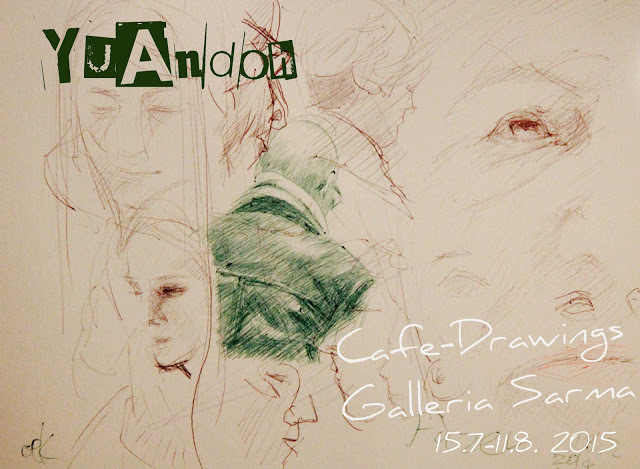 My part of the exhibition was consisting of drawings I have made during Cafe-Drawing sessions. Held at Galleria Sarma, Kalajoki, Finland from 15 July 2015 till 11 August.